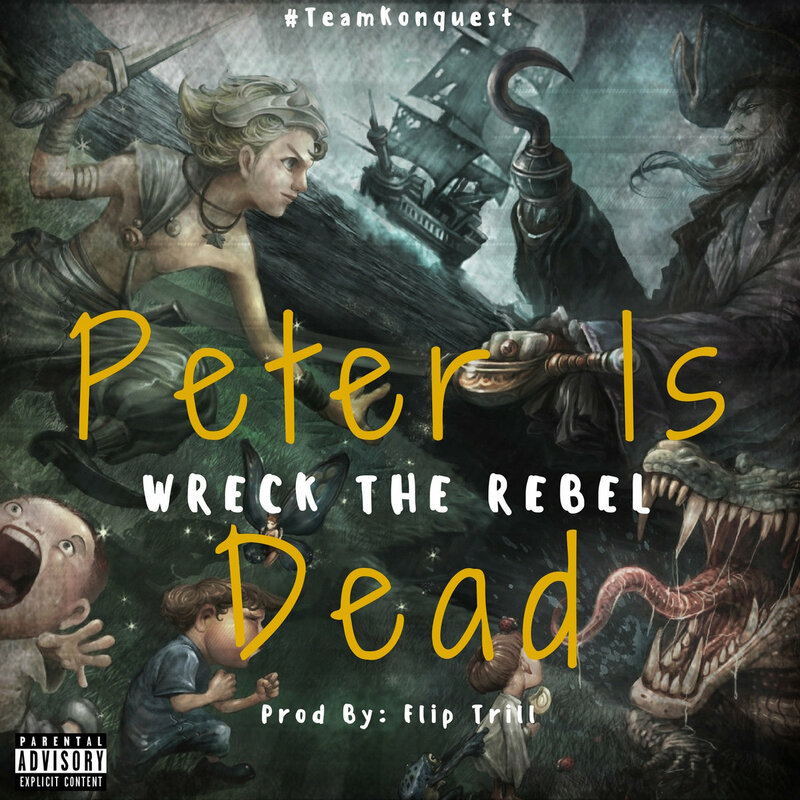 Wreck The Rebel returns with his first solo release of the new year entitled, "Peter Is Dead." Wreck The Rebel never ceases to amaze as he gives his listeners an audible buffet to satisfy the hunger and need for that real music felt in his absence. "Peter Is Dead" has a unique flavor that listeners across the globe will certainly be able to appreciate. "Peter Is Dead", produced by Flip Trill, is deep track centered around the theme of losing one's innocent creativity and youthful imagination. Wreck the Rebel uses metaphoric analogies between real life and the fictional world of "Neverland", where you never grow up unless you leave. There are many layers within this piece and if you listen more than once you will pick up on nuances you may have missed before. Wreck The Rebel intertwines his lyrical prowess into every element of the instrumental, providing a cohesive listening experience that is nothing short of hypnotic. Rarely keeping to the same rhythmic pattern, the versatile emcee switches up the flow effortlessly creating an exciting journey for the listener; every twist and turn leads to a dynamic quotable punchline. With "Peter Is Dead", Wreck The Rebel has definitely reassured his listeners that he isn't missing a step in the coming year.